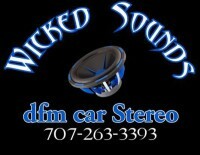 dfm car stereo in Lakeport has been the areas custom car audio installer for over 25 years. We are a family owned and operated business. We have been taking care of all of Lake County's car, marine, audio, video, and security needs.